This product came out from injection molding, all holes line up with OEM fairing, no modification required. DOUBLE BUBBLE WINDSCREEN-DARK SMOKEAll Zero Gravity Windscreens Offer Superior Optical Quality, Strength Plus Flexibility, Exceptional Fit and Finish, Plus Race-Proven PerformanceDeveloped by Zero Gravity R&D in 1995 for Team ZGs Race Bikes, the Double Bubble Is Now Seen on Race Tracks Around the WorldFormed With a Wedge-Shaped Bubble in the Center of the Windscreen, the Double Bubble Was Originally Designed to Provide Superior Aerodynamics for a Rider Tucked in Behind the WindscreenAdds a Sleek, Aerodynamic Look to the Exciting Designs of Todays New SportbikesPlease Note: All Windscreens Are Custom Shaped for Your Unique Model. The Stock Image Shown Is for Color Reference Only and May Not Match the Exact Shape You Receive for Your Particular Model Bike. 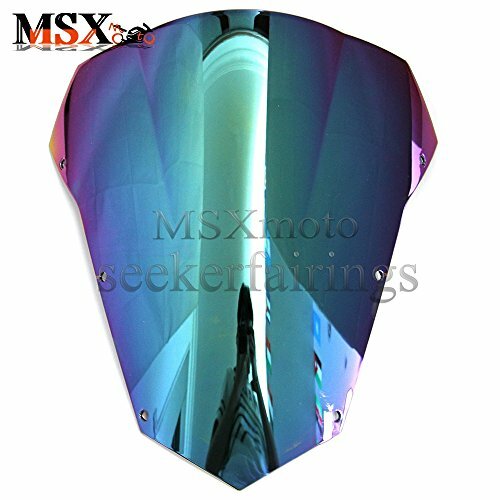 Introduction:Customer's satisfaction is our No.1 Goal，We won't let any biker be disappointed！ THIS windscreen is transparent vision, but the colors are a little darker, you will see through clear at day time, at night time may not work good for you, please consider this condition before purchase. Material:High quality ABS plastic.It has strength and flexibility,flexible absorption of vibration load, and smooth and charming fashion design. For high speed driving, it is very good for blocking wind and rain and reducing long time driving fatigue. Install:Brand new,The holes are Pre Drilled,easy to install.After the installation is complete, please confirm with tight bolt. Product packaging: Individually packaged using foam material, put into packaging to protect the goods. Packing weight:1.5kg. Shipping:Shipped by EMS. Email Customer Support ：There are 24 hours of customer service throughout the year.All mail replies in 12 hours. Note: We do not accept import duties on products. Please forgive me. 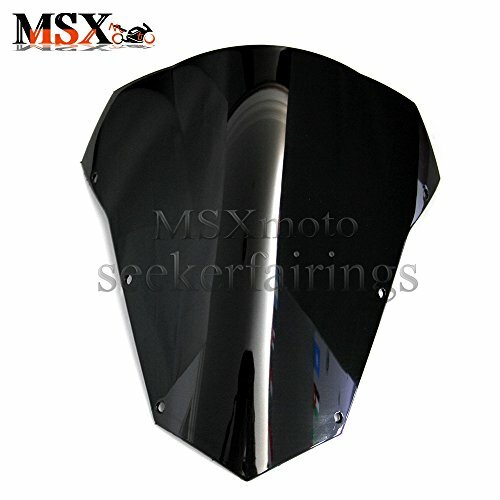 Features: 100% Brand New, Never Mounted, High Quality No Need Modification, Predrilled Holes. 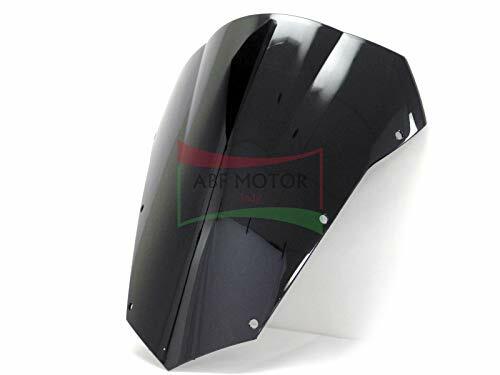 Easy To Install No Screws Included Specification: Color: Black As Pictures Material: ABS Plastic Fitment: Yamaha FZ6 Fazer 2003-2008 Package Includes: 1 * Windshield As Pictures Installation Instruction As The Last Pictures. 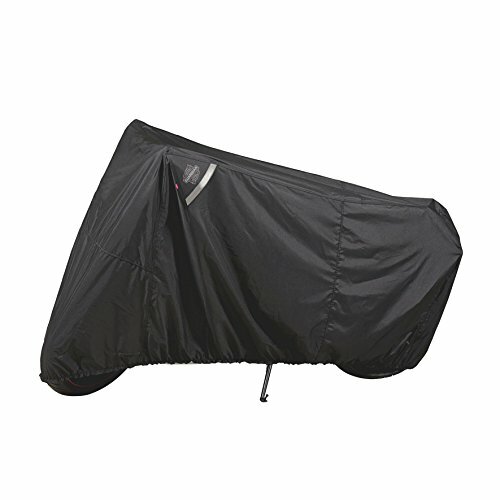 The best motorcycle cover on the market for heavy duty, everyday outdoor use, backed by Dowco's industry leading lifetime warranty. 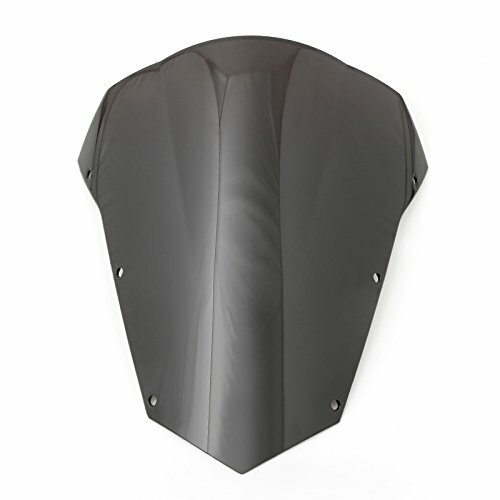 This cover will provide you the peace of mind that your motorcycle is protected from the elements. ClimaShield Plus technology is used in the construction of the WeatherAll Plus Covers. The ClimaShield Plus provides maximum protection against rain, mildew, and fading caused by the sun’s UV rays. The 300D polyester fabric that is used is waterproof as well as breathable. The seams are double tapped to ensure maximum waterproofness. Underneath the cover soft cotton is used to protect your windshield from scratches. A heat shield is also put in places underneath where it may encounter warm pipes that allows for immediate use after riding. Every cover features a Reflective Moisture-Guard vent system that prevents moisture build-up under the cover and as well as added nighttime visibility. An elastic shock cord is sewn into the bottom of the cover to provide a snug fit. There is also a polyester webbing belly strap sewn-in to prevent the cover from coming off in high winds. Sewn-in grommets for a wheel lock to be passed for added security. A drawstring pack is included for convenient and easy transport. 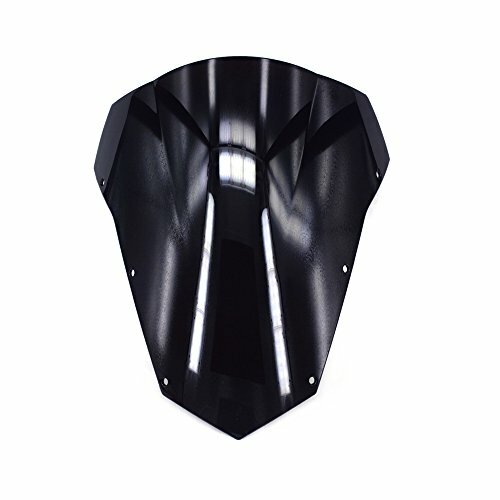 Looking for more Yamaha Fz6 Windscreen similar ideas? Try to explore these searches: San Francisco 49ers Car Accessories, Arnica Essential Oils Massage Oil, and David Yurman Black Onyx Sterling Silver Necklace. 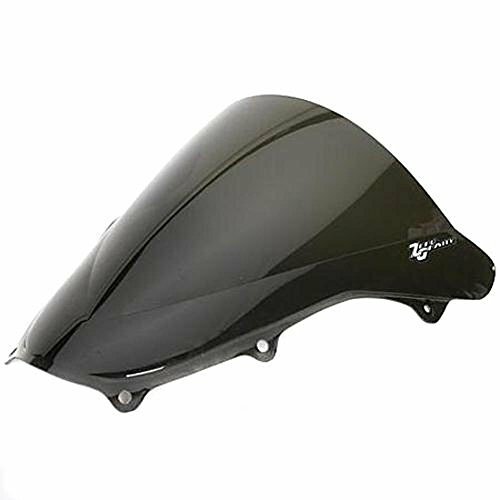 Look at latest related video about Yamaha Fz6 Windscreen. Shopwizion.com is the smartest way for online shopping: compare prices of leading online shops for best deals around the web. 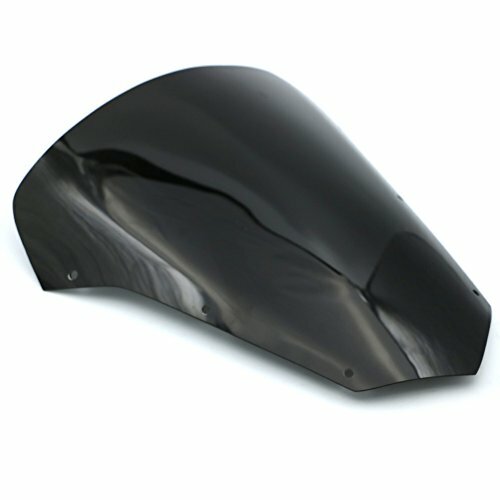 Don't miss TOP Yamaha Fz6 Windscreen deals, updated daily.